Music and fashion collided earlier this week as fashionistas like Dia Frampton, Alex Winston, Cory Kennedy, Chelsea Leyland, Hannah Bronfman and Tracy Antonopoulous took over the underground venue, W.i.P. (Work in Progress), to kick-off American Rag’s It-Girl Campaign with host of MTV’s 10 on Top, Lenay Dunn. 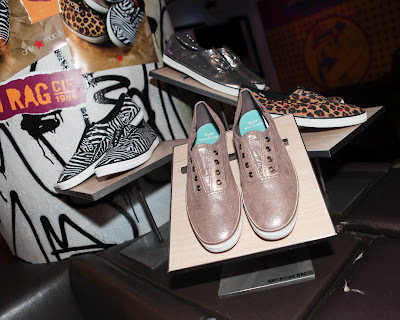 As I walked into the event the MTV sweetheart was celebrating her new role while music and fashion insiders, trendsetters and style bloggers danced the night away to music by famed electro-pop DJ duo Holy Ghost. The guest were literally glowing with glow sticks used as accessories. 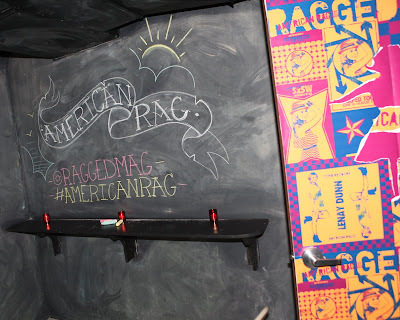 There was a great vibe in the room as everyone celebrated American Rag's new campaign. 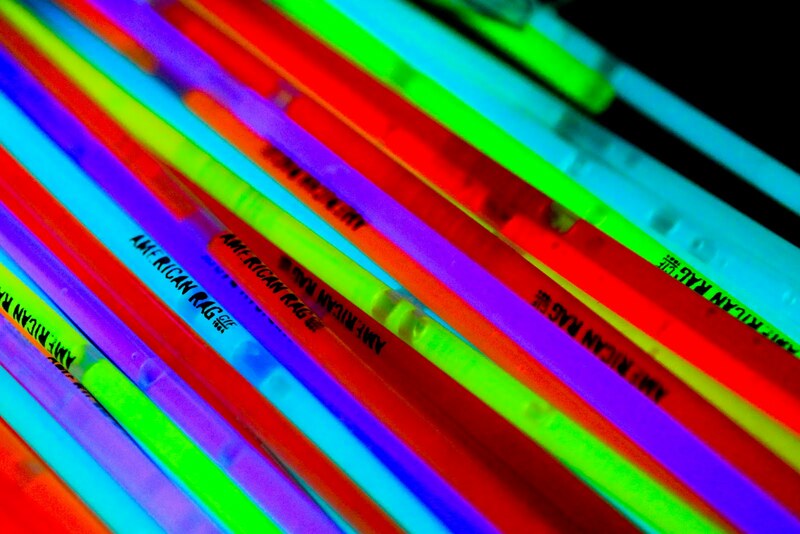 Above: Glow stick fun for the guests at the American Rag launch party for their new campaign with Lenay Dunn. Below: Models show off their music fest looks with American Rag's Spring Summer 2012 line. As the official American Rag brand ambassador, Lenay will be reporting backstage from the hottest music festivals including SXSW, Bamboozle, Warped and Lollapalooza Brazil. Lenay will act as the brand's behind-the-scenes roving reporter interviewing bands, scoping out the latest trends and more. 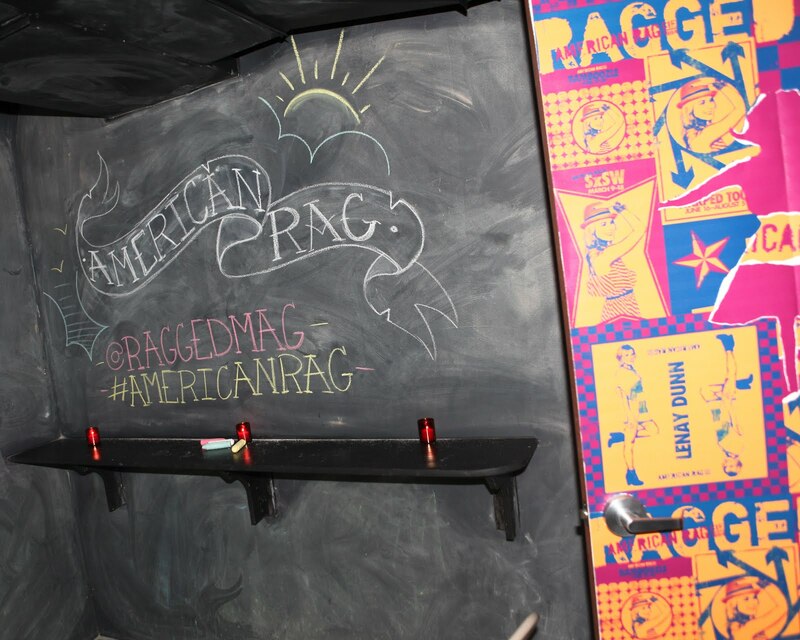 The it-girl will be blogging about her experiences interactively every step of the way via American Rag’s Raggedmag.com. Lenay is the perfect American Rag correspondent as she has an undying love of music, a passion for band culture and the wanderlust to be everywhere in order to score the scoop. I had the chance to meet her and she was beyond nice! It was really refreshing to see someone host an event and actually take time out to mingle and meet with their guests. Lenay is definitely not the type of girl to hide away behind a VIP rope. She took time speak with me and is even following me on Twitter. It must be the fact that she lives in Nashville and flies in every week to tape MTV's 10 on Top (crazy)! Check out some close ups of the American Rag Spring/Summer 2012 line along with some fun shoes below! Congrats to Lenay and American Rag on the new campaign! Be sure to follow Lenay's adventures in music on raggedmag.com.